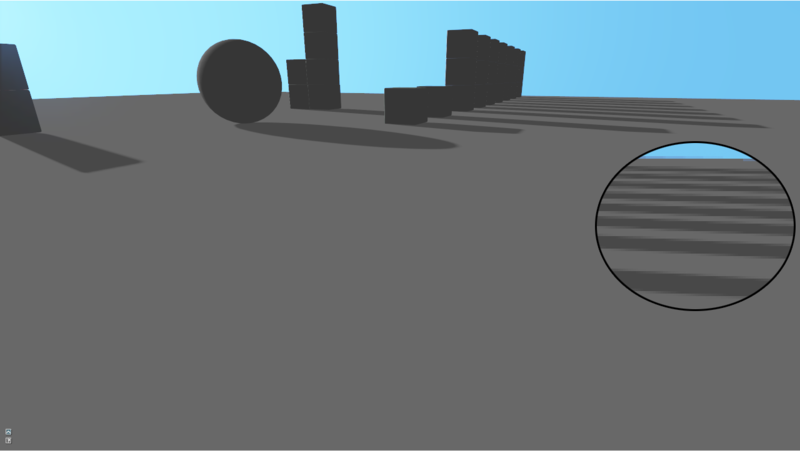 Variance shadow maps propose a way to soften shadow edges by allowing the use of standard filtering methods such as hardware linear interpolation and gaussian blur directly on shadow maps. The results are convincing and many options are available to tune the quality / performance ratio. P() is the percentage of points that will fail the depth test. t is the fixed depth we are comparing to. σ2 is the variance (the standard deviation squared). The first important observation is that we are considering our shadow map to be filtered so after the filtering the depth value will become the mean. Now, we need to find how to retrieve the variance from a filtered shadow map. For this we need to remember that the variance can also be expressed as the mean of squares minus the squared mean. Knowing this, if we store the depth squared into our shadow maps, this value will become the mean of squares after filtering. Now that we know how to get all the terms needed for this inequation let’s see how the implementation will look like. 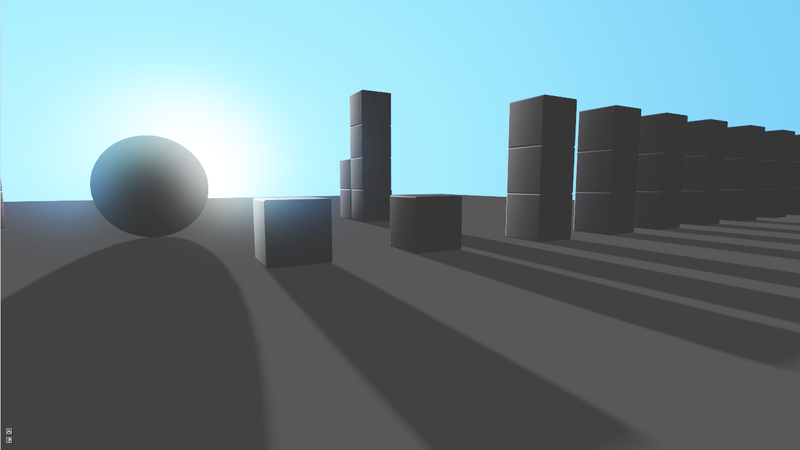 For the implementation I will assume that you already have basic shadow maps working. If you don’t, this tutorial is a very good starting point. So I will only highlight the implementation changes specific to VSM. The first thing we need to change is the type of attachment for our shadow FBO. Since our depth pass now need to record both the depth and the squared depth we will attach a texture of type GL_RGB16F_ARB. Also, our depth attachment is not a texture but a RenderBuffer. Note that since we are not using the GLSL textureProj function, we need to apply the division by vShadowCoord.w ourself to transform to normalized device coordinate. This is what we get if we don’t perform any filtering on our shadow map. 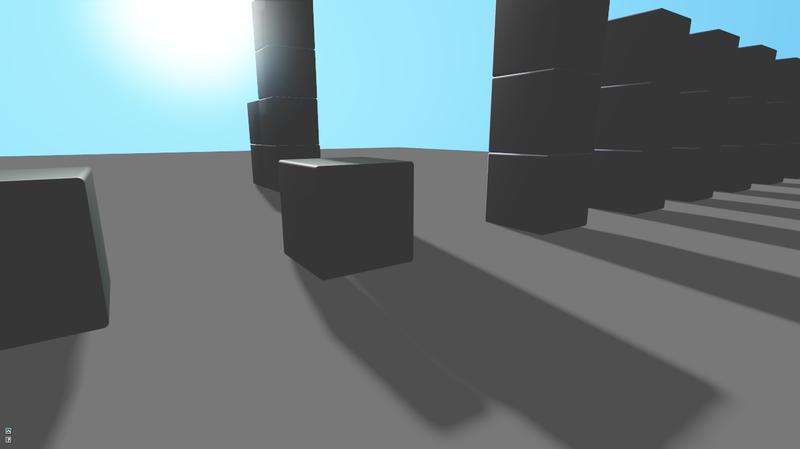 Not very interesting, we see very aliased shadow edges and some weird artifacts (near the base of the cube). Slightly better but still not what we expect. 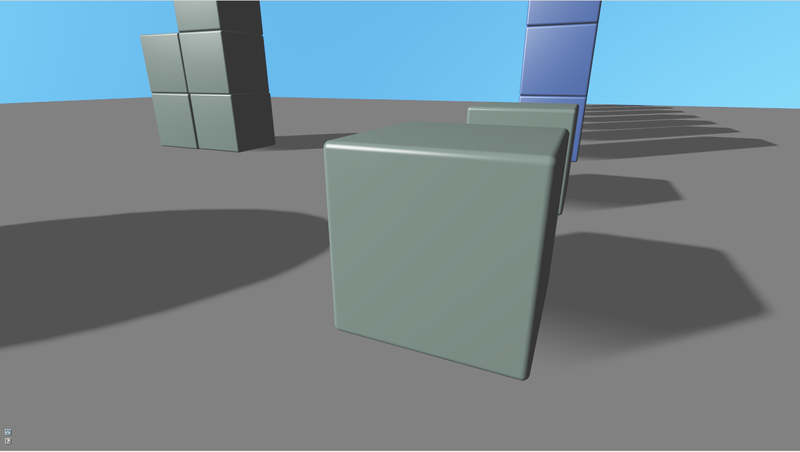 After all variance shadow maps allow us to use any filtering, we should try to add more serious filtering. Way better, the 5×5 Gaussian blur produce soft edges. But we still have this artifact at the base of the cube. By changing the shadow texture internal format to GL_RGB32F_ARB we can set back our floor value to a lower value and get rid of the artifact. At some angle, the farther shadows have aliasing artifacts. Using anisotropic filtering (x16) improve farther shadows a little bit. You could also try to turn on mipmap generations. For this particular scene, a minimum value of 0.20 was just enough to get rid of the light-bleeding. We can also observe that applying a threshold on the shadowPCT also have unfortunate effect of hardening the transition from shadow to light, creating less soft shadows. So you will need to experiment with your scene to find the right minimum value. Finally, even if it’s not directly related to VSM, we can add that the Gaussian blur we use create uniformly soft edges that don’t take into account the distance between the occluder and the receiver.